Sunset Stand Up Paddleboards conduct lessons every morning at Shelley Beach, Shelley, WA. We meet on the sand beach just south of the jetty. There is a toilet block, playground and a gazebo also located at Shelley beach. This beautiful, tranquil location is one of Perth's best kept secrets. 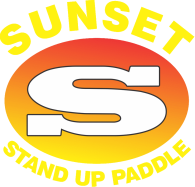 We are the only company operating regularly in this area for Stand Up Paddle. We look forward to seeing you down there. It's a good idea to arrive 10 minutes before the lesson starts just to sign a quick document or two.